in EUR, EUR to USD. 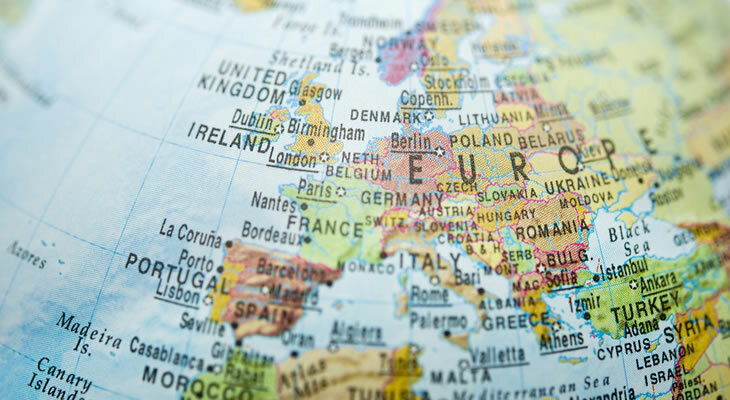 The Euro US Dollar (EUR/USD) exchange rate is back on the defensive this morning as markets react to Germany’s latest GDP figures, while Italy’s budget defiance also weighs. At the time of writing EUR/USD exchange rate is down roughly 0.4% from today’s opening rate, erased a significant portion of Tuesday’s gains. The Euro (EUR) is beating a hasty retreat against the US Dollar this morning, following the publication of Germany’s latest GDP figures. Data published by Germany’s federal statistics agency, Destatis, the German economy contracted 0.2% in the third quarter after expanding 0.5% in Q2. This was the first contraction in German GDP since the first quarter of 2015 and appeared to be driven by a deterioration in trade as well as disruptions caused to the automotive industry due to the introduction of new emission tests. However it’s not just Germany weighing on Euro sentiment this morning but also concern regarding Italy as Rome refused to submit a revised budget in spite of Tuesday’s deadline. The EU will now have to decide whether to impose punitive measures against the Eurozone’s third largest economy, a prospect that is unnerving for many EUR investors. EUR/USD Exchange Rate Forecast: Jump in US Inflation to Strengthen US Dollar? Looking ahead, the Euro US Dollar (EUR/USD) exchange rate may come under further pressure this afternoon as the US publishes its latest Consumer Price Index (CPI). Economists forecast US inflation will have jumped from 2.2% to 2.5% in October, likely bolstering the US Dollar as it all by confirms that the Federal Reserve will move ahead with a rate hike in December. Meanwhile the Euro could face some Brexit related volatility this afternoon as the UK cabinet decided whether to accept the draft text of a Brexit deal agreed by the UK and EU on Tuesday. This could place further pressure on the single currency should the cabinet choose to reject the deal as it bolstered the chances of the UK damaging the EU economy by crashing out of the Union without a deal.